Who said that you have to go the sea in August? Each August (this year from the 4th to 28th) Edinburgh holds two prestigious festivals, the International Edinburgh Festival and the Fringe. The independent “fringe” was born in 1947 in conjunction with the festival, and over the years has become just as important as the official event. 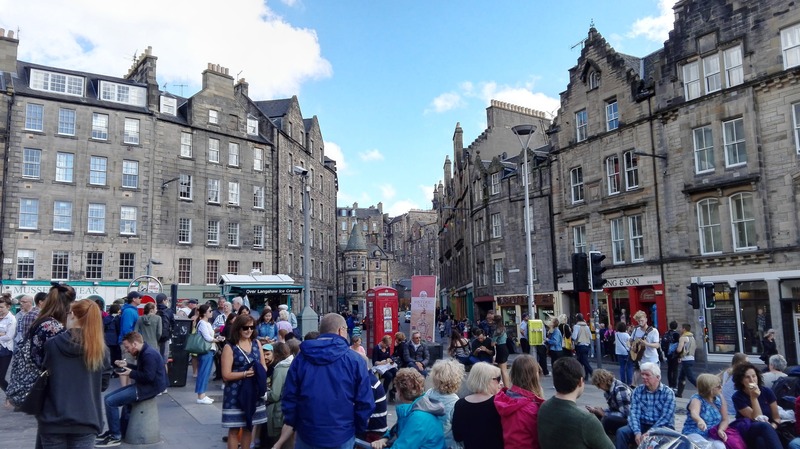 The Royal Mile – known as the city’s backbone linking the two castles through the Old Town – is teeming with performers from all over the world who provide entertainment in the hopes of drawing an audience to the actual shows. 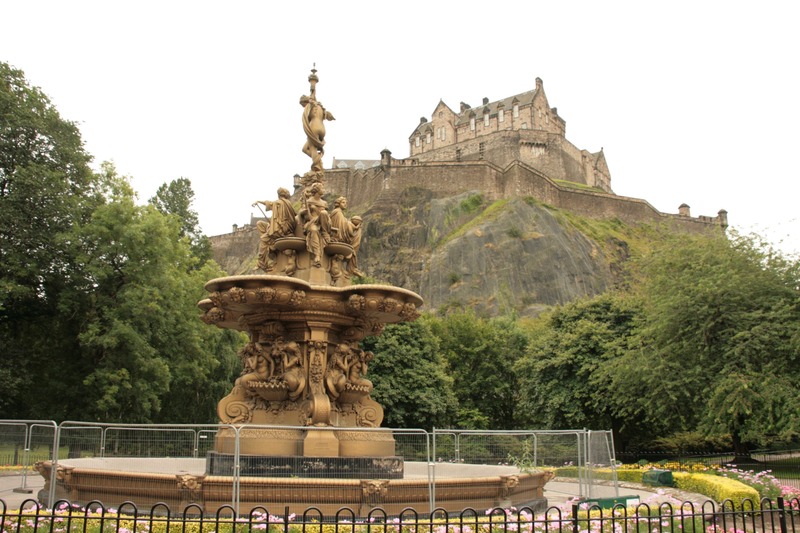 Edinburgh’s theaters, hotels, deserted churches, outdoor venues, university classrooms, historic venues and more dub as stages for plays, stand-up comedy, cabaret, concerts and musicals. I visited Edinburgh for these festivals for the first time two years ago, during which I attended clever, original shows: A monologue in which the actor interpreted the Beatles’ manager at the time of their debut, and Harry Potter’s Lavender Brown, written and performed by Jessie Cave. During a Grassmarket show, I saw a number of street artists such as Mama’s Cave, which quickly became one of my favorite music groups. Though my love for Edinburgh is young, it does not lack fulfillment. Simultaneously ancient, elegant and mysterious, with every street full of history and literary charm, the Scottish capital reminds me a bit of Paris.. With a little imagination, you might notice Mister Hyde lurking in the shadows of Cockburn Street. Discover the places and sites that inspired J.K. Rowling, and you can catch a glimpse of the ghost of Mary, Queen of Scots in one of the castle halls. With towers, monuments, crown jewels, and an entrance reminiscent of a Quidditch stadium, the Castle stands majestically at the Old Town’s highest point. 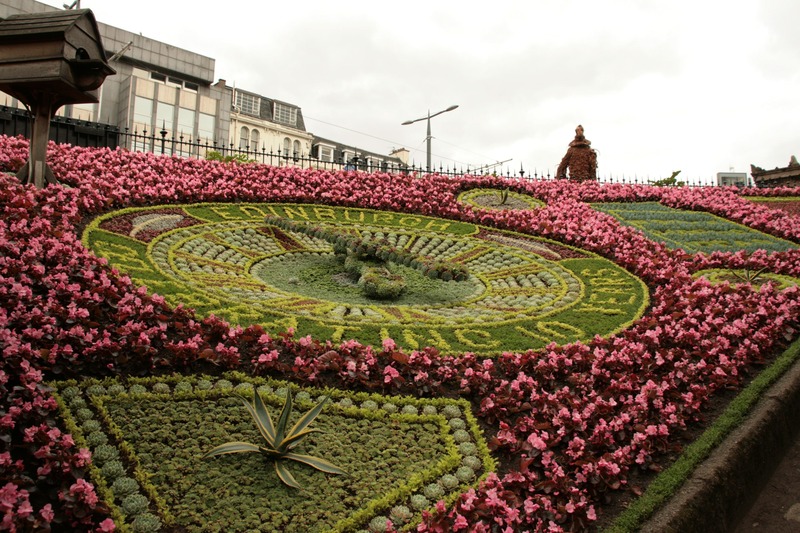 At its feet lay the wonderful Princes Street Gardens, which mark the start of the New Town and boast a wonderful clock made entirely of flowers. Once upon a time, Nor Loch surrounded Edinburgh Castle and, since this lake also served as the city sewer, it played an integral role during the Inquisition. The accused was chained and thrown into the filthy water, and if his corpse remained at the bottom, he was innocent and his soul was saved. However, a floating corpse meant that the defendant was indeed guilty of witchcraft and therefore had merited such a morbid end. Today, Princes Street Gardens is home to the Scottish National Gallery which displays a collection of works by Scottish and British artists, such as the wonderful portrait of John Singer Sargent’s Lady Agnew of Lochnaw. If the Old Town is characterized by Gothic buildings, the mysterious underground streets and the ghostly cemeteries (don’t miss Greyfriars Kirk), the New Town is the quintessence of Victorian elegance, with circular tree-lined courtyards, wide and airy avenues, and refined vintage buildings. 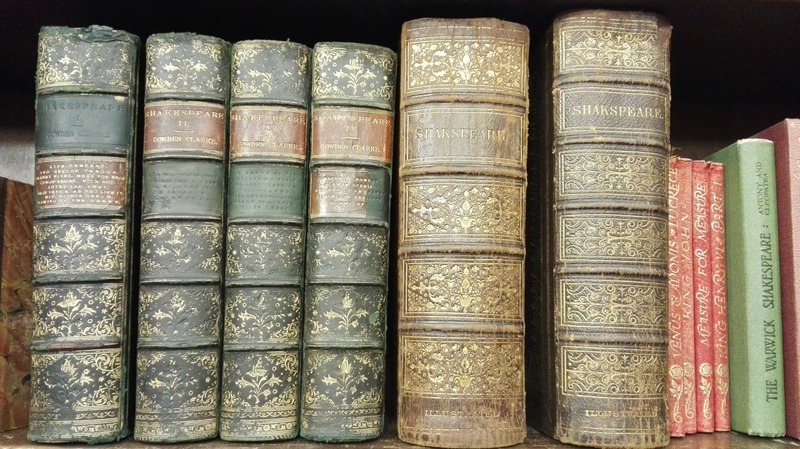 At the Charlotte Square – where the Edinburgh International Book Festival takes place from 12 to 28 August – you can visit a beautiful Georgian house museum, faithfully furnished in the style of its heyday and complete with a perfectly set dinner table. And speaking of the table, Scotland’s signature dish is haggis, a spicy pudding of sorts made from sheep heart, liver and lungs. If you are compelled to try it, I have been told that the Deacon Brodie’s Tavern is very good – although I abstained. Instead, I always indulge in an excellent salmon with mashed potatoes or fantastic fish and chips.at the Deacon Pub, a bar dedicated to the man who inspired Stevenson to invent the character of Dr. Jekyll and Mister Hyde, I know from personal experience that the other two Scottish cuisine headliners are shortbread and fudge. You can find delicious biscuits with freshly baked, classic and chocolate butter, or with dried fruit flavored with Lavender by Pinnies and Poppy Seeds. Fudge Kitchen, on the other hand, specializes in fudge that takes on all imaginable shapes and tastes through a truly hypnotic process. If you wish to deviate from pub fare, you can find an excellent lobster salad at Howie’s. At OX184 in Cowgate (the disco and club area), you can taste great grilled meat, burgers and fries filled with salsa. while you can nosh on fresh, healthy soups, sandwiches and wraps, with an emphasis on vegetables and spices at Hula. The best way to dispose of beer and shortbreads is to take a stroll through the New Town’s Stockbridge neighborhood where the houses are low, colorful and surrounded by nature. 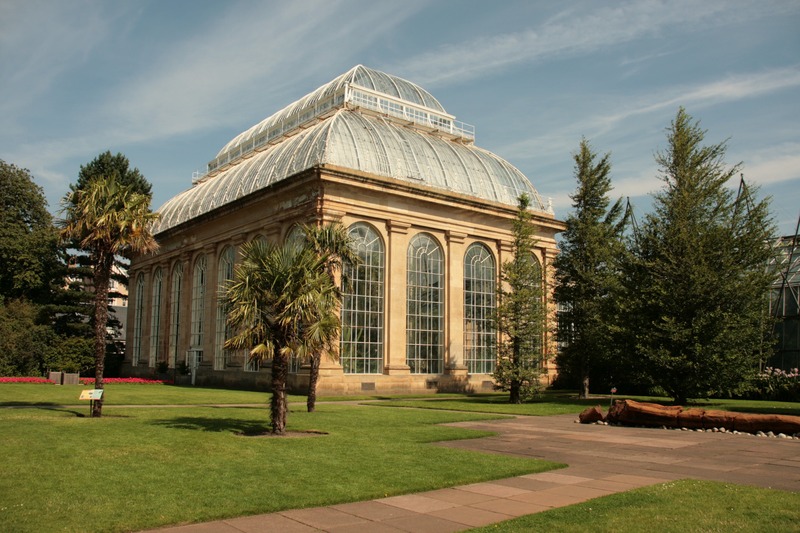 Here is the Royal Botanic Garden, one of the nicest botanical gardens I have ever seen (and I’ve seen several due to a real passion for plants and Victorian greenhouses). Inside the garden are recreated natural habitats that welcome species of plants from all over the world, a wonderful Victorian greenhouse (exactly! ), and a hut covered with shells that’s dedicated to the Queen. Following the course of the Water of Leith, you enter the Dean Village, a residential neighborhood with a magical atmosphere that recalls a fairy village. If you’re feeling fearless or (or perhaps you just want to burn off some of that shortbread? 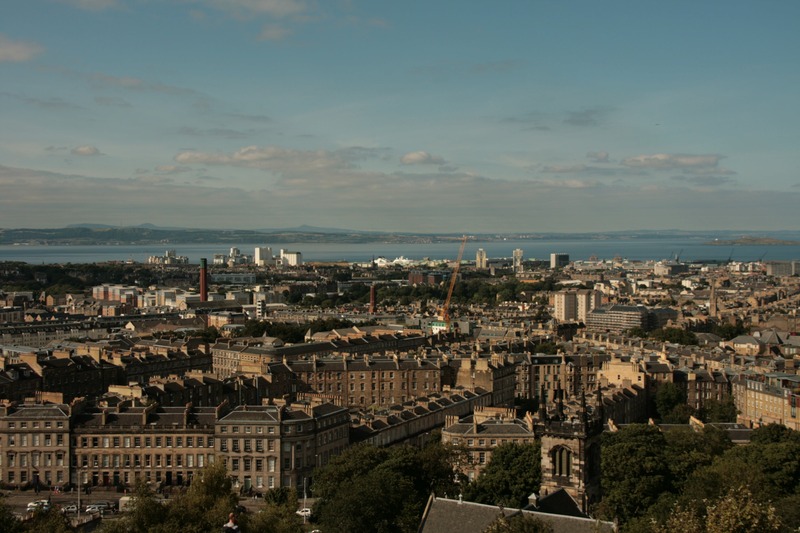 ), you can climb Arthur’s Seat, a volcanic hill that is a taste of the magnificent downtown Highlands, or Calton Hill and visit the nineteenth-century observatory, Alternatively, you can admire the National Monument, which was a failed attempt to reproduce the Parthenon of Athens. From the top of the hill, enjoy an amazing view of both the city and sea. Although it might be difficult, resist the temptation to buy one of the kilts you’ll see in the Old Town’s ubiquitous souvenir shops/. Instead, invest in something more special like a quality Scottish tweed coat (I’m still so happy with mine ), a hat like those worn by the Queen herself or an ancient book of illustrated Scottish fairy tales. When you return home, what’s a more gratifying remembrance: A bound coy of Macbeth or a set of coasters with the Scottish clan tartan?